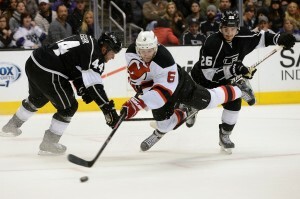 The 6-1 loss to the New York Rangers on Saturday night epitomized what this season has become for the New Jersey Devils. It’s become a season where they will miss the Stanley Cup Playoffs for the third consecutive time, which they haven’t done since the 1985-1987 seasons, which at the time was their fifth in a row. The loss also showed the distinct difference between teams who are going in opposite directions, as the Rangers are in contention for the Presidents Trophy. The Devils take the ice for the third period. Why? I don’t know. Contractual obligations is my best guess. Maybe sportsmanship. I’m hungry. While the loss on Saturday epitomized this season, it reminded me of a game that happened three years ago, which began the Devils slow, and painful downhill trend. 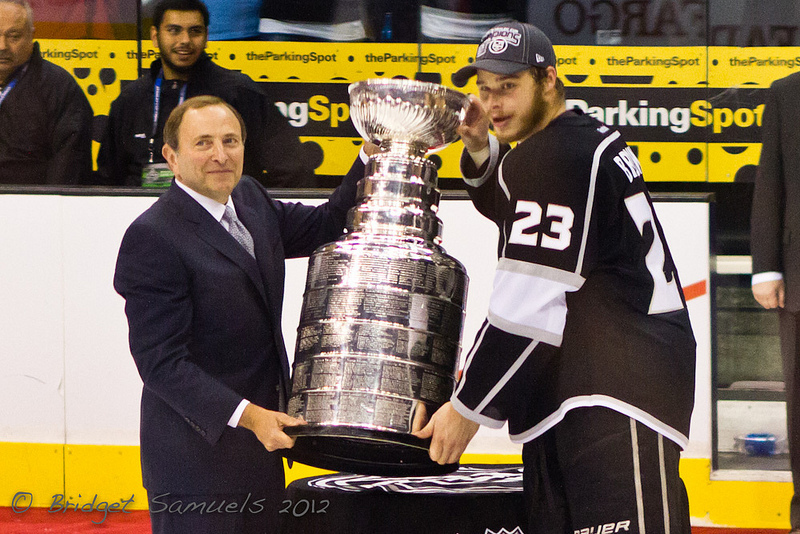 The scene is game six of the 2012 Stanley Cup Finals. 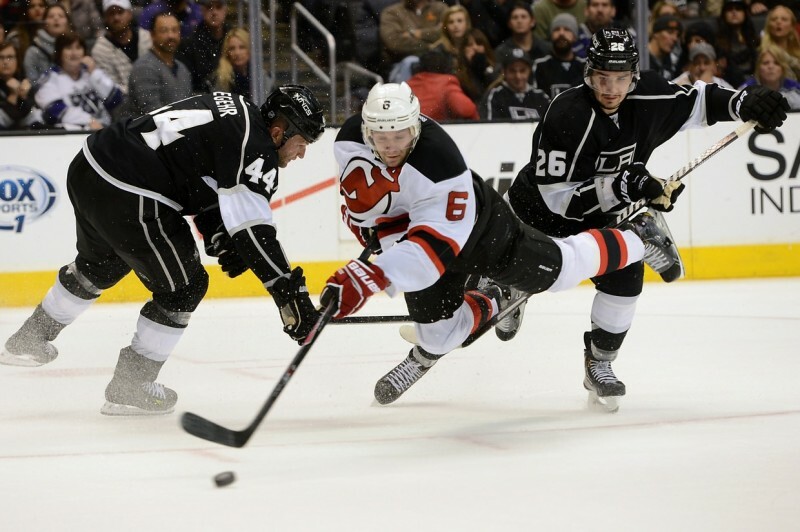 The Devils just staved off elimination in-game five with a goal from Bryce Salvador, and the Kings are leading the series 3-2. With the way the series was going, many people expected the Devils to come into LA, and put on a great performance to force game seven back in Newark. However, that didn’t happen. Steve Bernier took a harsh five-minute penalty by boarding Matt Greene, and the rest is history after the Kings scored three goals on the power play on route to their first ever Stanley Cup Championship. The comparisons being made here is that New Jersey hasn’t been as high emotionally since they won the Stanley Cup on home ice back in 2003. So when Adam Henrique scored in overtime of game six of the Eastern Conference Finals on home ice, pandemonium broke out. However, fast forward three years, and that same team being the Rangers, which sent the Devils to heights they haven’t been to in 10 years, embarrassed them in the worst possible way. In a sense it was almost like winning the lottery, and then you realize that taxes have to be taken out afterwards so you don’t actually get everything you win. New Jersey found that out the tough way by being physically manhandled by LA in the Stanley Cup Finals. Then it turned into a scenario where New Jersey had to pay interest, which was paid with team captain Zach Praise leaving for the Minnesota Wild. It was a tough blow. Ok understatement, a franchise-changing blow. But we still have Ilya Kovalchuk and then 30-goal scorer David Clarkson right? Wrong. David Clarkson’s career has since gone down the tube after signing a seven-year contract with the Toronto Maple Leafs, where he was then dealt to the Columbus Blue Jackets for Nathan Horton who may never play another game in the NHL. On the other hand, Ilya Kovalchuk has been rumored to return to the NHL where New Jersey would own his rights if he were to come back. Since New Jersey lost all of their star players, Lou turned to the free-agent pool to try to replenish their talent. Safe to say at this point that his experiment hasn’t worked. With the exception of Mike Cammalleri and Scott Gomez, all the Devils free agent, and trade acquisitions have failed miserably. Ryane Clowe has had multiple concussions since joining the Devils and while I certainty hope the best for him going forward, he’s better off calling it a career. Michael Ryder has been terrible this season, and has been a healthy scratch almost the entire second half this season. New Jersey acquired Tuomo Ruutu at last years trade deadline, however he has simply broken down, and isn’t the same player he once was. Martin Havlat, who from the outset looked like a good free agent signing because of his relationship with Patrik Elias, unfortunately, his vast number of injuries from past seasons has caught up to him in all the wrong ways, and has limited his ability to make plays on the ice. Lastly, Damien Brunner was also a guy who looked good on paper when the Devils signed him in free agency, but he worked out in the worst of ways, which led to the Devils and Brunner mutually terminating his contract. While free agency hasn’t worked in the Devils favor, the current members of the team haven’t helped the cause with their disastrous play. The only exceptions to this list are top defense pair Andy Greene, Adam Larsson, rookie Damon Severson. The forwards are Adam Henrique, Steve Bernier who has had a great bounce-back season, and as mentioned before Mike Cammalleri. The goaltenders Cory Schneider and Keith Kinkaid also haven’t been the problem, and without Schneider specifically, the Devils would be competing with Buffalo for the leagues worst record. The forward who is most to blame for the decline of this team is Travis Zajac. He’s being paid like a first-line center, but is playing, and producing like a third-liner. 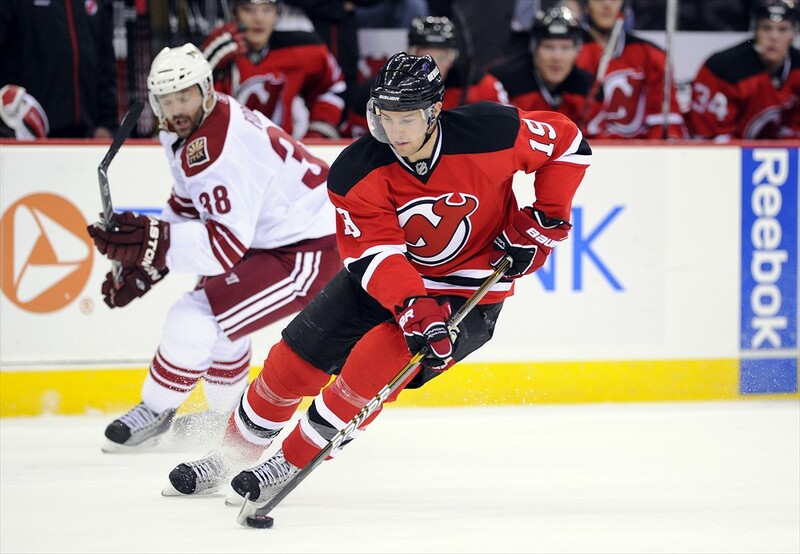 In 71 games, Zajac has 11 goals, 12 assists, is a minus 4, and is making $5.75 million per season. While he’s a nice guy to have for defensive coverage and face-offs, his lack of offensive production since the loss of Zach Praise has been staggering. This upcoming off-season is one of the biggest in their history. They are below the cap-floor because of all the excess players they are losing, and while there isn’t a star free-agent forward, Lou needs to find the next Mike Cammalleri if his team is going to at least contend for the playoffs next season. They will also have a top-10 pick at this year’s entry draft, which they need to draft a forward for organizational depth. This is a team that had a solid defensive core, and by adding the right forward pieces this summer, will give New Jersey a shot at the playoffs. Saturday’s 6-1 loss was a bad night, and tonight’s home finale against the same team might not go the Devils way either. However, as bleak these past few seasons and recent games have been, brighter days are ahead.